Typeface designer María Ramos Silva refers to blogs from the typosphere in her informative 20-minute presentation on typewriter typeface designs. Video here. 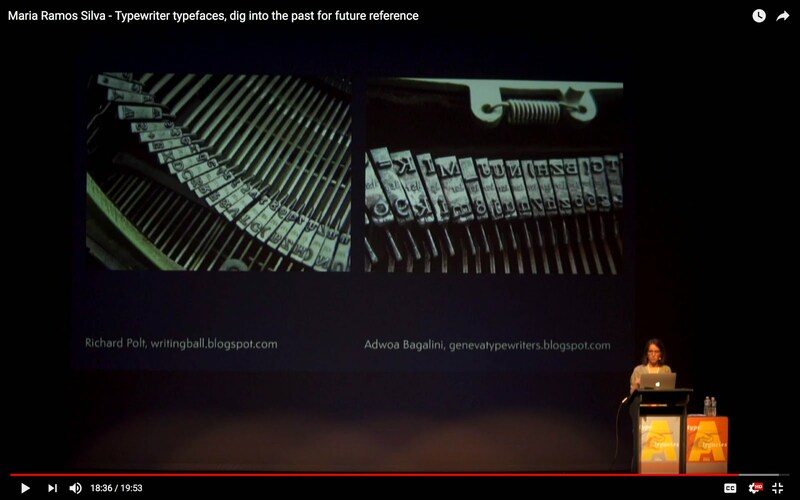 I watched this last night, and I learned some things I did not know about typefaces. Tons of typewriters in "Can You Ever Forgive Me?"